Gayathri Raguramm Said That Modi Has No Corruption Case On Him !! Check Out The Reactions !! The first phase of polling for Lok Sabha elections 2019 is set to take place on Thursday. All political parties are intensely canvassing for the April 11 polls as today is the last day of campaigning for phase 1. 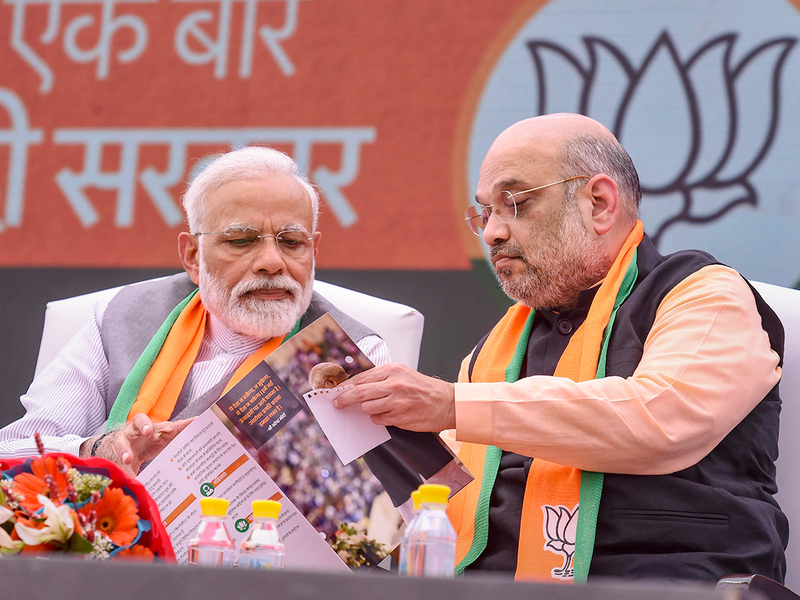 Prime Minister Narendra Modi released the BJP’s manifesto in the presence of senior party leaders, including president Amit Shah who said the ‘Sankalp Patra’ makes 75 pledges and promises to fulfil all expectations of the people. Every party members and followers are in full swing to make their party reach vast number of people. In social media many supporters of respective political parties posting their party’s achievement to gain the votes of common people. 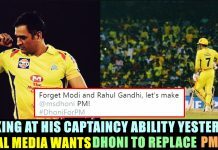 In similar way Gayathri Raguram who is a member of BJP also posted a tweet supporting Narendra Modi. Gayathri Raguramm is an Indian choreographer and actress who has worked in the South Indian film industry. The daughter of prominent choreographer Raghuram, Gayathri began her career as an actress in the 2002 film Charlie Chaplin and after a career break, she began working as a choreographer in films during 2008. In November 2015, Gayathri was appointed as Bharathiya Janata Party’s secretary for arts in Tamil Nadu. She had earlier joined the party in 2014 in the presence of BJP president Amit Shah. In 2017, Gayathri was a contestant on the Tamil reality show Bigg Boss hosted by Kamal Haasan. She was evicted from the show on day 56. 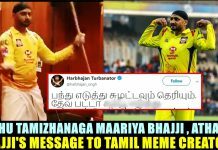 A true tamilan will never vote for BJP. Tyre nakkis might . adhulam errukttumm yengae andhey 15lacks?? plus demonitization odae outcome yeanna achu ?? But the all the corruption under control with him ! never visited TN but sushmita sen wedding he turned up . 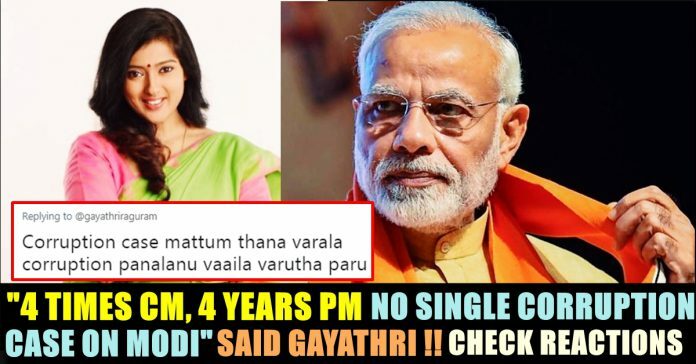 What do you think on Gayathri’s post ?? Comment your views below !! 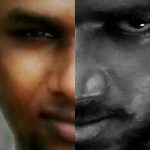 Previous articleInternet Lauding Tamil Rockers For Not Uploading This Tamil movie !! 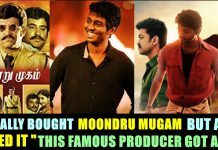 This Happens After Vishwaroopam-2 !! Next articleHarbhajan & Tahir Went One Step Ahead To Troll Kolkata After Winning !! You Just Can’t Miss ! !